Special Limited Offers available - See Web Site for Details As its name suggests, ComputerSafeTM provides an internal Safe inside your computer where you can store your vital information and protect yourself against identity theft and data security breaches. 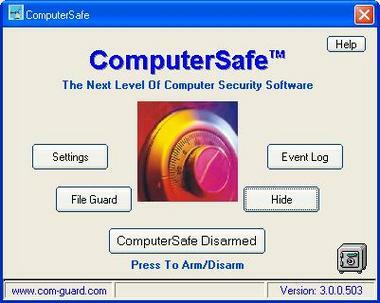 ComputerSafe safeguards a virtually unlimited number of files. Its unique combination of file protection, event recording, and notification messaging guards critical programs and data to protect against loss, corruption and unwanted access. 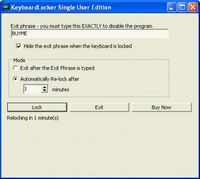 File and Folder Locking, Hiding and/or File Encryption Select the protection you desire with a few mouse clicks, assuring your files and other assets are kept safe from any attempt to compromise your privacy. Violations are Tracked and Stored ComputerSafe records unauthorized access violations in a protected event-log file with a time and date stamped description of the threat. The system records key stroke activity that may provide clues as to the intruder?s intentions or their identity. Notification Services ? 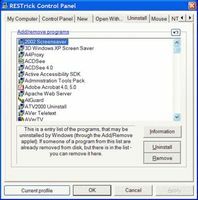 Theft Recovery ComputerSafe sends various types of remote notifications when violations occur - pages, phone calls and emails. If the system is set up to record video of the violation, the resulting video clip can be attached to the email*. Additionally, if the system is stolen, the next time it is connected to the Internet and an internal ComputerSafe alarm is tripped, an email notification will be sent containing the IP address of its location. This data can be used to physically locate the computer.